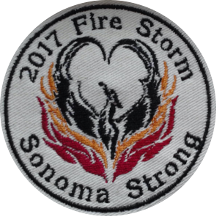 This patch is available on Felt (better art definition) or Cotton Duck Cloth (tougher). It can be plain or list the affected county. 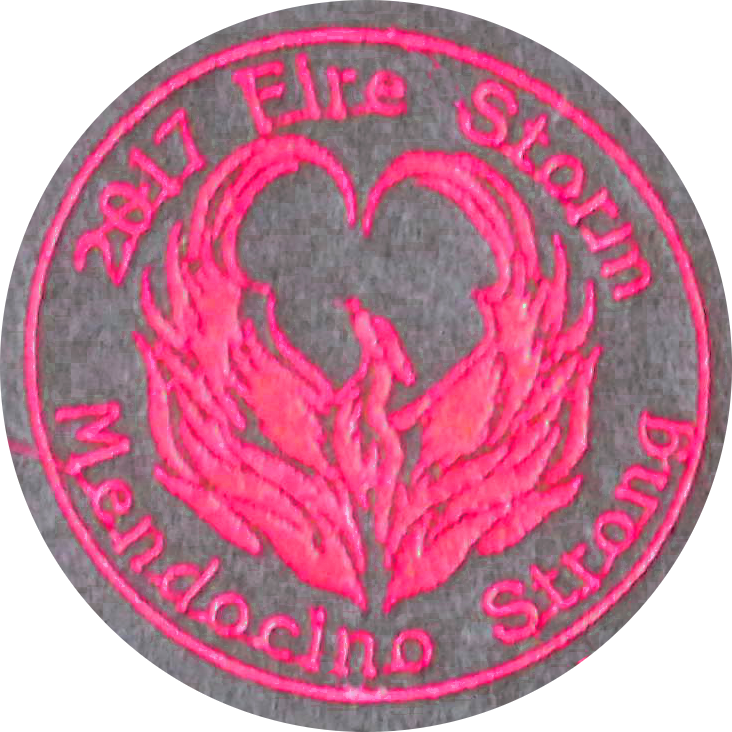 100% of all money, not just the profits, from the sale of this patch will go to the Redwood Credit Fire Fund. These are people that have a good track record of serving their community well with disaster funding. In 30 years of disaster service, I have never experianced anything like the fires in Northern California. If you were here, I don’t need to tell yuou, if you weren’t then you can look on line and find story after story of distruction, harrowing escape, heroism of the highest degree, and loss not just of property, but of lives and whole communities. My shop and home are intact, only by the grace of the gods, and the whim of the winds. Sometimes the only thing you can do is to make art. So here is my small offering: a deMerit badge. I apologize for not having better photos. I have a strong need to get these patches posted quickly and I will post better as I am able. If you need a special size or shape, or if there is an extraordinary need, please email me.